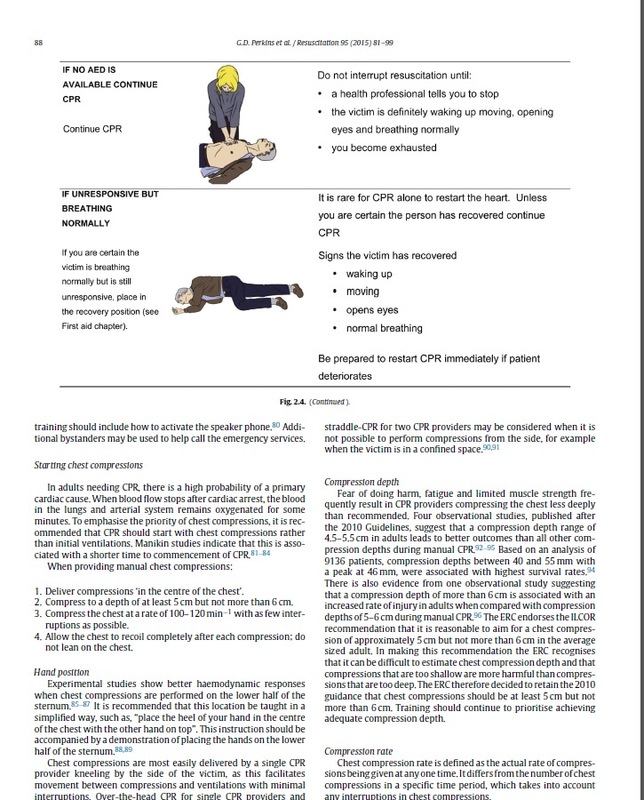 The International Liaison Committee on Resuscitation (ILCOR) had published a new release of the Guidelines for Cardiopolmunary Resuscitation (CPR) and Emergency Cardiovascular Care (ECC). The 2015 Guidelines for AHA and ERC are fully accessible directly on the official website of both this associations. In Europe, about 500,000 people have a sudden cardiac arrest every year. It is very easy to help those hearts that are too young to die. 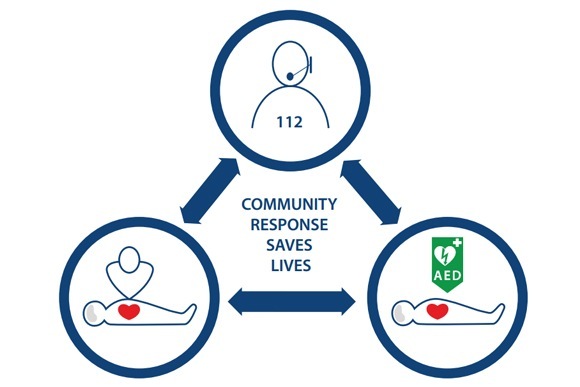 Bystander cardiopulmonary resuscitation (CPR) by lay people increases survival rate by 2–3 times; however, today it is provided in only 1 in 5 out-of-hospital cardiac arrests. Increasing this rate could save another 100,000 lives in Europe per year. The new 2015 CPR Guidelines from the European Resuscitation Council (ERC) will help to reach this goal. On October 15th 2015, the European Resuscitation Council (ERC) launched the new European Guidelines for CPR, based on new scientific evidence published since the last revision five years ago. For lay bystanders, the message is now very clear. Professor Maaret Castren, Chair of the ERC, stated: “Push deep and fast enough, and start immediately! Don’t loose any valuable time! If the victim does not respond or react, press at least 5 cm down on the middle of the chest, at a rate of 100– 120 compressions per minute.” The most important action in resuscitation is chest compression. Everyone, including children, can learn to do this. This simple procedure is safe and markedly increases the victim’s chance of survival. Bystanders who are trained and willing should combine chest compressions with rescue breathing, at a ratio of 30 compressions to 2 breaths. However, chest compressions are most important even without breathing. Without giving chest compressions the brain will suffer irreversible damage within 5 minutes following the collapse. Numerous studies on the effectiveness of resuscitation procedures have been reviewed for the new 2015 ERC Guidelines. Those studies producing convincing scientific evidence or emphasising simplification were particularly likely to be implemented. Besides good chest compression and having access to automated external defibrillators (AEDs), which can now be found widely in public places, there is a strong focus on highquality training of basic life support (BLS) with or without the use of an AED. The ERC Guidelines 2015 strongly recommend the use of AEDs – they are simple to use because simple voice prompts guide the user through the defibrillation process, and early defibrillation is life saving for many cardiac arrest victims. The 2015 ERC Guidelines confirm the importance of other interventions like good airway management, the choice of medication therapy and therapeutic hypothermia following cardiac arrest. Cooling the post arrest victim for minimally 24 hours significantly increases the chance of good neurological survival. 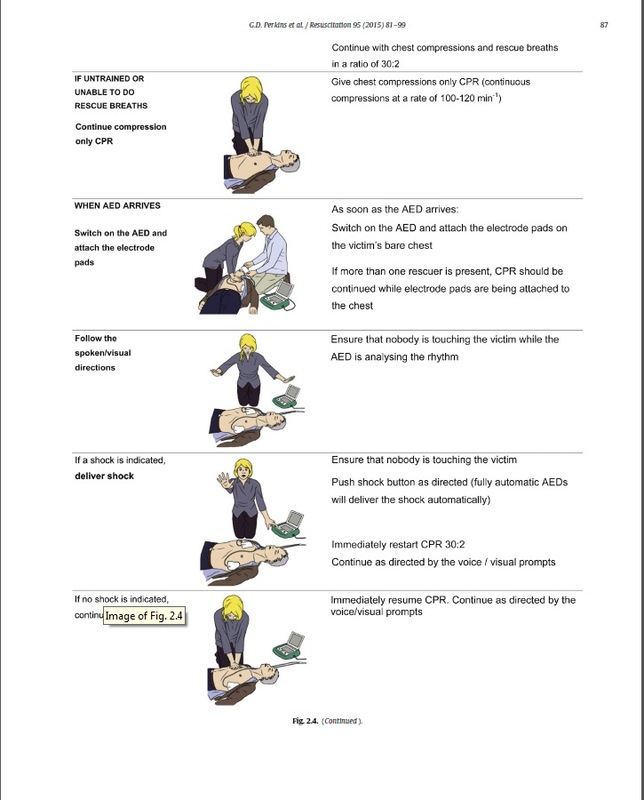 Immediate and deep chest compressions, early defibrillation, airway management, and post-resuscitation temperature control all have a major role in the ERC Guidelines 2015. Professor Castren concluded: “We could save 100,000 extra lives per year in Europe, if all lay and professional people who care about optimising resuscitation get trained properly then and implement their knowledge skills”.